Make no mistake: this is certainly an ‘S’ year when it comes to Apple’s flagship smartphone. That said, the smartphones are worthy upgrades that include many worthwhile features, especially on the camera side of things. Of course, there’s also the size of the Max’s display — the literal elephant in the room when it comes to this year’s iPhones. The oddly named Max is a large device any way you look at it. In fact, the Max is so big that during my brief hands-on time with the device, I found it comically large and extremely difficult to hold with one hand, just as I suspected it would be. There’s a possibility that its size could grow on me though. After all, there was one point in my life where I scoffed at the thought of using a ‘phablet’ of any kind. To place the Max’s size in perspective, the 6.5-inch OLED smartphone is even larger than Samsung’s downright massive Note line, including the most recently released Note 9. 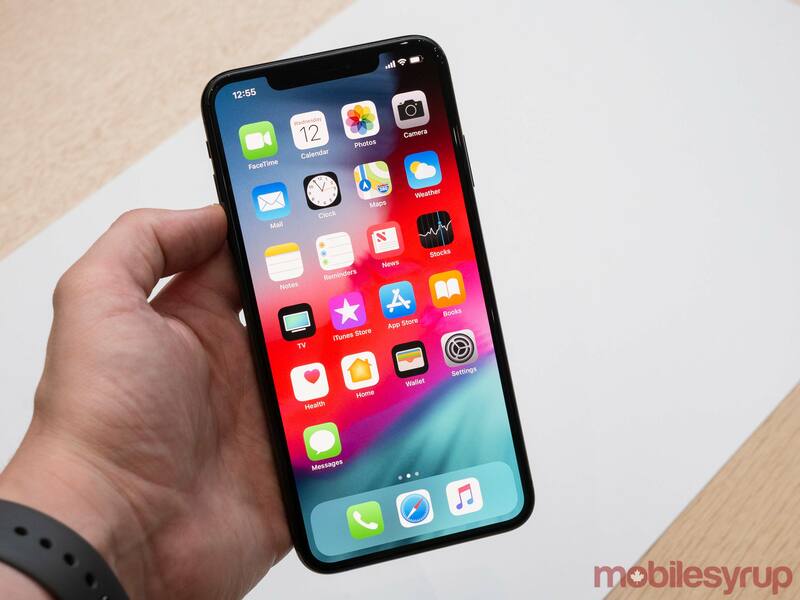 The XS’ OLED display measures in at 5.8-inches and features a 2436 x 1125 pixel resolution, the same specs as the iPhone X.
What’s different this year is the addition of 60 percent improved dynamic range, as well as full support for HDR10 and Dolby Vision, according to Apple. While I can’t verify Apple’s claims regarding colour vibrancy, I can say that the iPhone XS’ display looked just as stellar as the iPhone X’s. 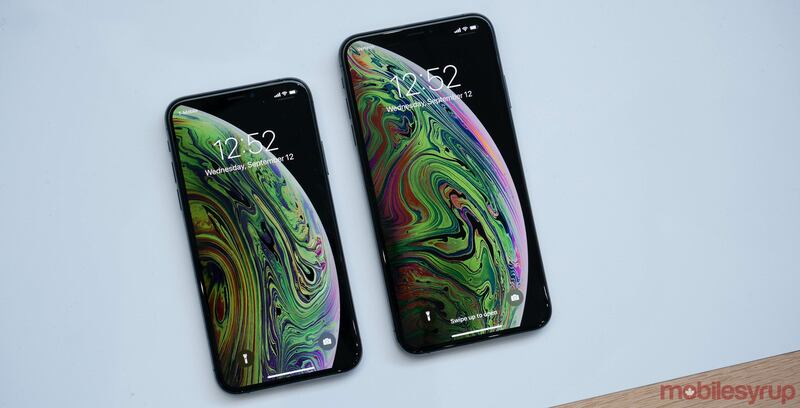 Regarding the iPhone XS Max, the smartphone’s OLED display measures in at 2688 x 1242 pixels with a 458 PPI pixel density (both phones feature the same PPI screen density). The iPhone XS and iPhone XS Max feel decidedly high-end, as should be expected from Apple. 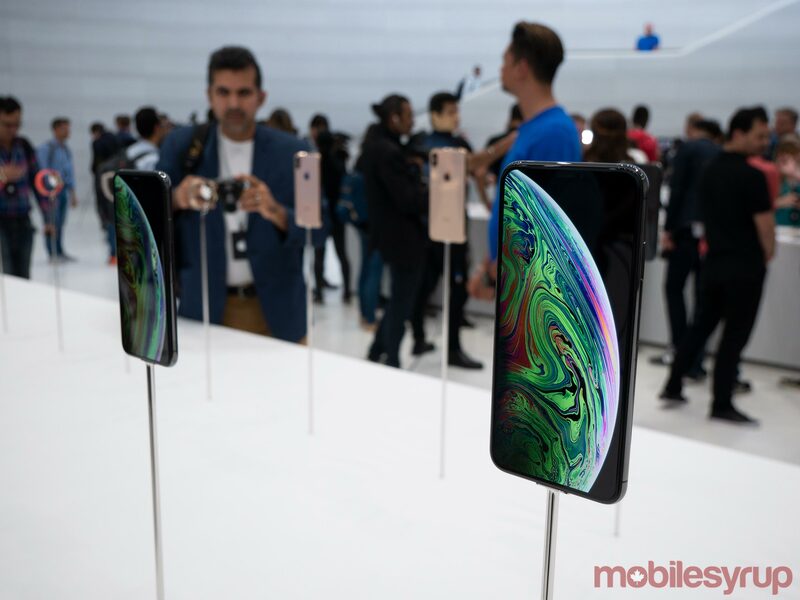 It’s unclear if Apple’s durability improvement claims are accurate, the XS and the XS Max feel solid and slightly less slippery when compared to last year’s iPhone X, especially when it comes to the phone’s stainless steel edges. Even in the noisy and crowded hands-on area, I was able to tell that both the iPhone XS’ and XS Max’s speakers sound better than the acoustics featured in the iPhone X. Of course, more testing is necessary, but my initial impressions regarding the new iPhone’s sound quality are resoundingly positive. 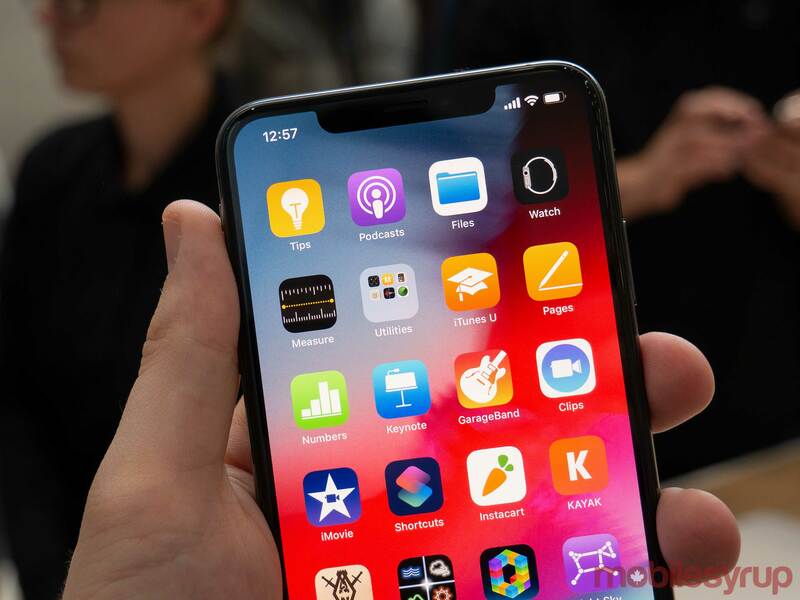 Unlike Apple’s now defunct ‘Plus’ line, both the XS and the XS Max share the same feature set, beyond the latter phone’s massive, 6.5-inch display — this is likely why Apple opted for the somewhat awkward switch in naming conventions. 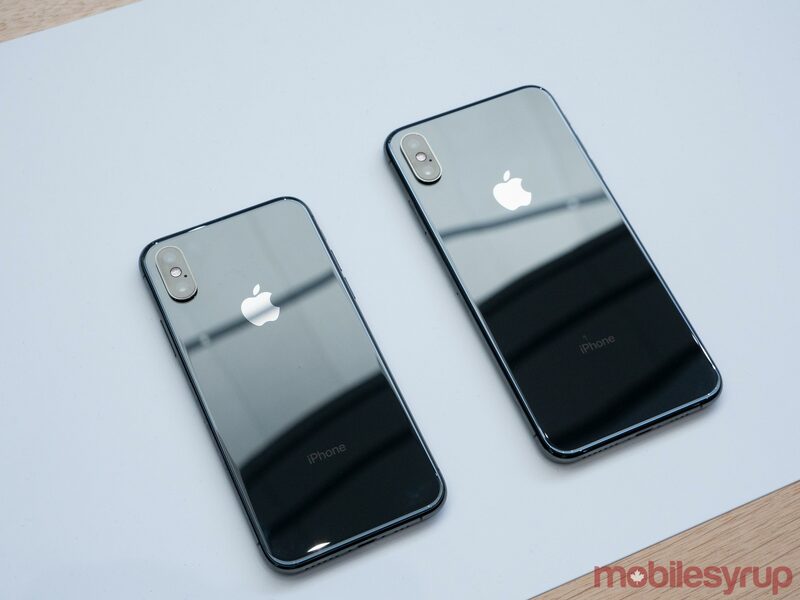 Both smartphones feature Apple’s new A12 Bionic chip, which the company claims is 15 percent faster than the A11, improved water resistance that allows the phones to be submerged in 2 metres of water for up to 30 minutes, and finally, support for two SIM cards via eSIM and gigabit LTE. Further, while I didn’t get to spend much time snapping photos during my hands-on time with the smartphone, the XS and XS Max have improved rear cameras thanks to a wider aperture on the telephoto lens and larger pixels on the wide-angle lens. 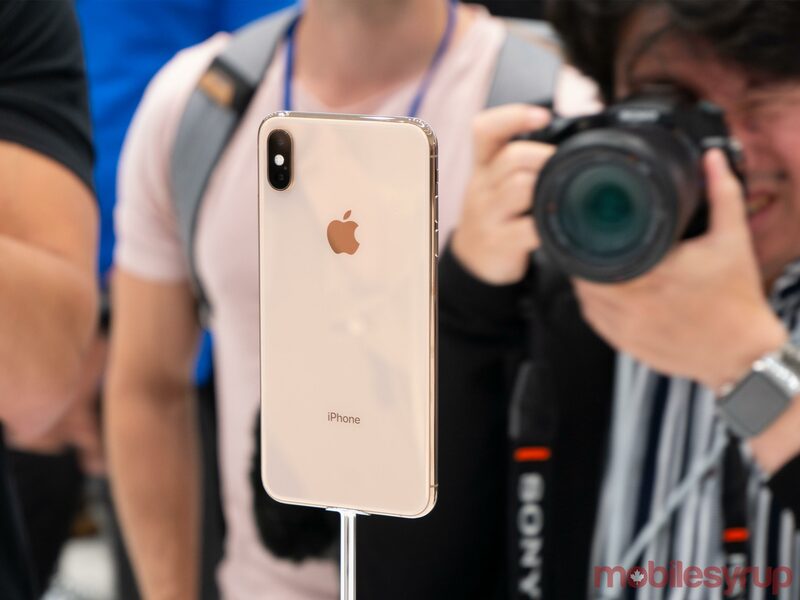 Apple has also upgraded the smartphone’s selfie camera and Face ID functionality with the iPhone XS, though the improvements seem to be on the software side of things. The most interesting new feature this year is Apple’s expanded ‘Portrait Mode,’ which allows users to adjust the phone’s depth-of-field after an image has been shot, similar to the Samsung’s ‘Live Focus’ feature. Though I only played around with the feature for a brief period of time, it seems to work great, allowing users to alter the bokeh effect by sliding a dial left and right. The iPhone XS and iPhone XS Max are set to be available in three storage configurations: 64GB, 256GB and 512GB. 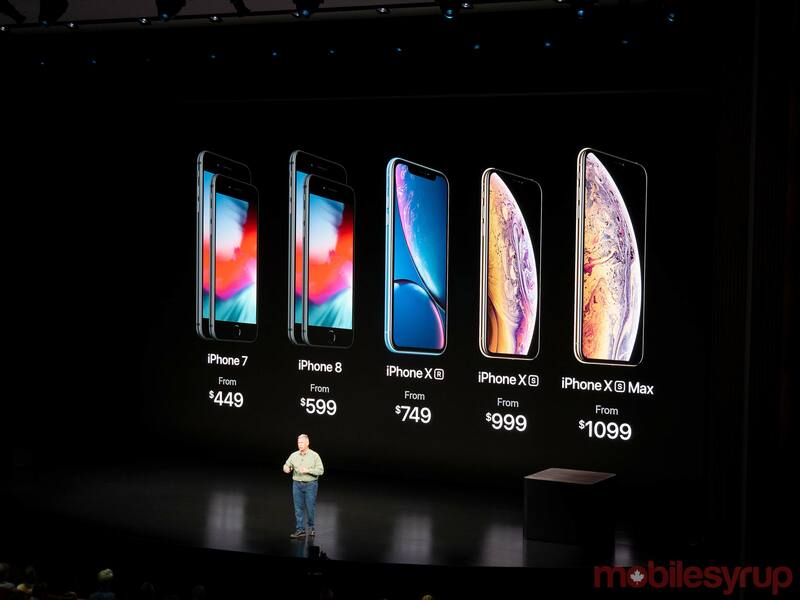 The iPhone XS starts at $1379 CAD, while the iPhone XS Max $1519. Preorders start on Friday, September 14th, with sales opening on September 21st in Canada. MobileSyrup will have more on the iPhone XS and iPhone XS Max, including comprehensive reviews, in the coming days.